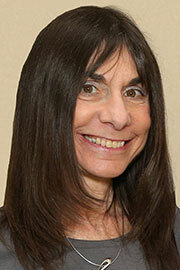 Dr. Nancy L. Segal is currently a professor of psychology at CSU Fullerton and Director of the Twin Studies Center. Dr. Segal has authored over 200 articles and several books on all aspects of twins and twin development. Her 2012 book, Born Together-Reared Apart: The Landmark Minnesota Twin Study, won the 2013 William James Book Award from the American Psychological Association. Her other books include Twin Mythconceptions: False Beliefs, Fables and Facts About Twins (2017), Someone Else’s Twin: The True Story of Babies Switched at Birth (2011), Indivisible by Two: Lives of Extraordinary Twins (2005) and Entwined Lives: Twins and What They Tell Us About Human Behavior (1999). Her sixth book, Accidental Brothers (2018) follows the life histories of two sets of identical Colombian twins who were inadvertently exchanged at birth. Dr. Segal has appeared on CBS This Morning and The Oprah Winfrey Show, and her work has been featured in The New York Times and Wall Street Journal.